Everything is so stylish! My newest running item is a headband/ear warmer type thing. It is fleece and bright orange and says EP on it (for my school, East Pennsboro). Guess where I got it? For free in the teacher's lounge! 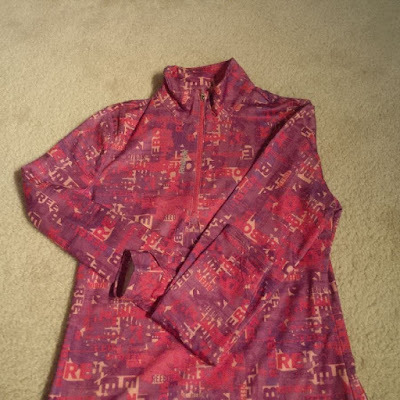 A retired teacher brought in all her EP garb she didn't want and it was free. Hahaha! The orange will be good for trail runs. The last thing I spent money on was a new bladder for my hydration pack. I love it. What a score to find the EP headband! These are all great! I love the idea of having a flip belt built into a pair of running tights. And those sandals sound so comfortable! Looks like some great goodies! Can't wait to put them to use! Oh I love all of these, especially those flip belt leggings, so practical for runners! I know right? This is a great invention! I love running gear with pockets and places to stash things! That shirt is so cute! Are you going to do any Disney races this year? I am not currently signed up for any Disney races. You need to get out there and try that awesome gear! I was supposed to test the Flip Belt crops but they never sent them - womp womp! You'll have to let us know how you like them! Since I love having my flip belt, I think i'll like these pants! I'll let ya know! Oh, I love that half-zip! Great pattern. I love my Oofos for recovery - you should try out your shoes soon! I think the color of the half zip will be perfect for spring but warm enough if the weather does not feel "spring like". Those flipbelt capris -- I hadn't heard of it but what an interesting idea. Although I've come to learn I don't like stuff around my stomach. I've gotten (almost) all the wonder wool from Skirtsports. Seriously, I love that stuff -- not at all itchy (because the wool content is low) but still wicks like nobody's business. Other than that, not much new running stuff lately. Probably cause I'm not running a whole lot right now! I should have checked out that wonder wool! I like the idea of the capri's...I have a similar belt (Hip'Sister? ), but it never stays in place (just like every other belt in my rotation LOL). It would be nice to have a waistband to stash stuff that would stay in place. I was debating between the two sizes when I ordered the flip belt years ago. I went with the smaller size and although it is a bit snug, I know it stays in place! I'm anxious to see how I like the capris! You just reminded me that I was supposed to have received a pair of the Flipbelt capri to test out but never did! Oh well.Curious to hear how you like them! 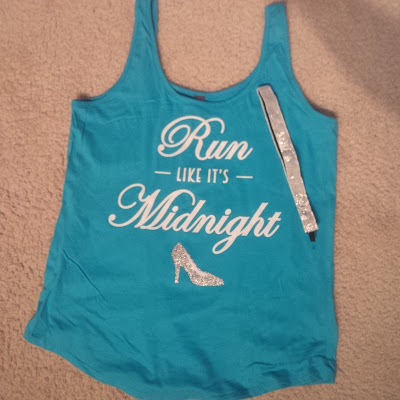 Love the Cinderella tank. I sent them my size and never got anything!!! That tank is great for any Disney or Princess themed races - cute! I'll have to remember it for the next time I run at Disney! 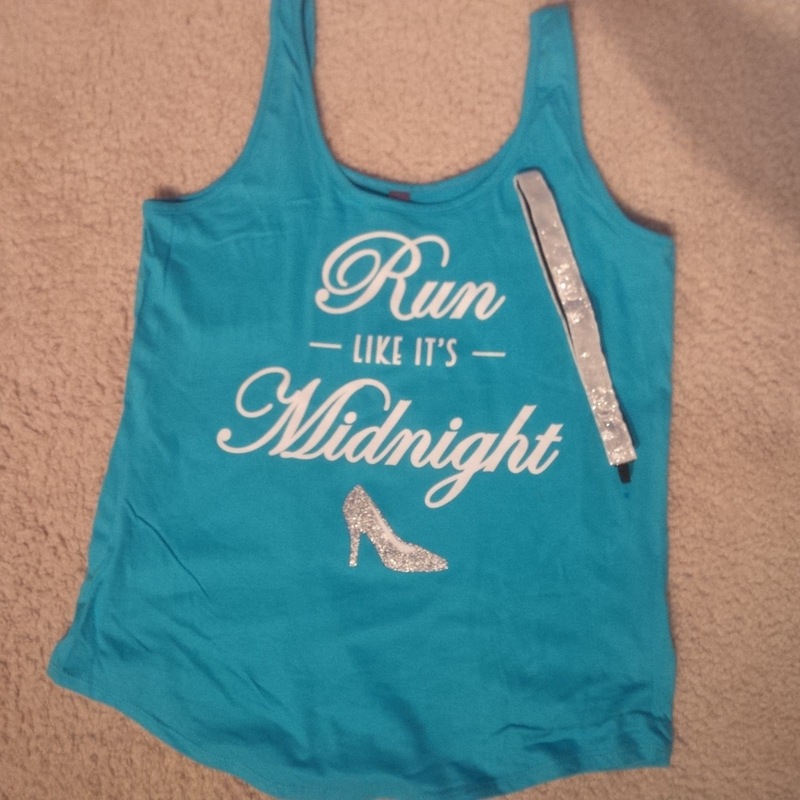 I love that Run Like Its Midnight shirt, so cute! I keep seeing ads for the flipbelt capris and was wondering about how comfortable they would be. That's good to hear you like them. I love my flip belt but have not tried the capris yet. That tank top is EVERYTHING!!!!! I love this tank top too and was surprised how inexpensive it was compared to similar ones i've seen! I love those flip flops!! I've never heard of them but they sound awesome!! That tank is too cute too!! 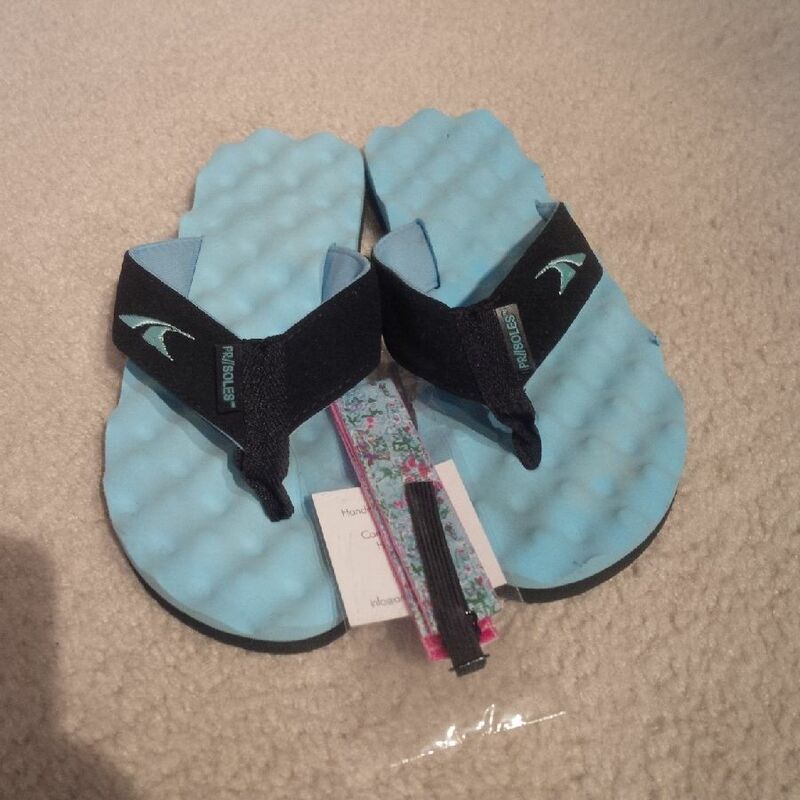 The flip flops have bumps on the soles that massage the bottom of your feet! Very comfy! I just bought myself a flip belt! My other running belt broke, and I have wanted to try flip belt for a long time. I love the color of that tank top, I know it's going to look great on you! Thanks Ana! I hope you like the flip belt. I love that you can get water bottles that will slide into it. Oh, such fun things you have! I absolutely love that shirt! New gear is so much fun. Even new socks can be great. I bought a couple more pairs after New Year's since some of my current socks are getting worn down. The new year is the great time to replace running gear. I get the non slip headbands. Those are the best! Actually, I use to only buy "SweatyBand" headbands before I discovered people sell other fun patterns on Etsy. Turns out, it's my "Sweatyband" ones that are the ones that are all stretched out. Seems like the home made ones from Etsy are better quality. I love your cute headbands! I'd like to get some but I always wear a hat when I run outside. 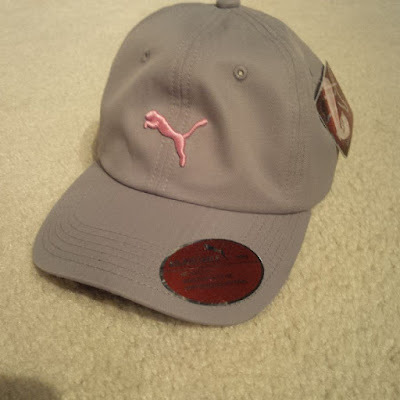 Maybe I just need a new fun hat. The flip belt leggings - What a great idea! I love my headbands but hats are great for when I think it might rain! I just ordered a new Skirt Sports capri and tank - I hope it fits when it arrives. Oh, that sounds great! Can't wait to see your new outfit! I have a couple fleece-lined running shirts from Target! It's been a couple years, but I bet they still carry something similar. And my most recent running purchase was thermal tights. I'm intrigued by the Flipbelt capris. I love my Flipbelt! But not 100% convinced I'd like it attached to the capris. Would love to hear how you like them after you've tried them on a few runs. I've long wanted recovery flip flops. I need to look more into them. I had no idea flip belt made pants/ capris.. that is so cool. Flip belt has definitely been one of my game changing running accessories !